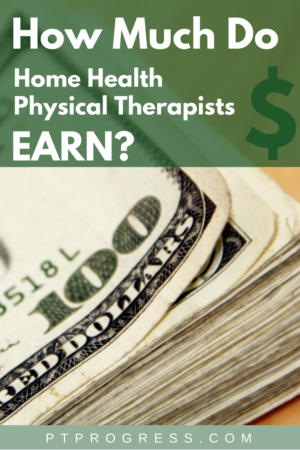 How Much Do Home Health Physical Therapists Make? How Much Does a Home Health Physical Therapist Make? 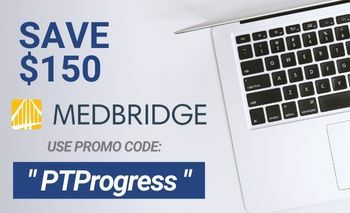 This is one of the most common questions I see from new grads and current Physical Therapists who visit PTProgress. The average range for a Home Health Physical Therapist salary is between $77,000 and $88,000. However, it is very possible to earn over $100,000 in Home Health Physical Therapy as we’ll show you below. Of course, a home health PT’s salary is different than a traveling PT salary, which we discuss in a different article! The biggest factors contributing to this wide range in salary include: location, setting, experience, specialty, and census. “Census” refers to the volume of patients available to be seen or treated. Is it better to get paid hourly or per visit for home health? I’ve had experience with all three of these compensation setups. They each have their benefits and downsides. Short answer: If the census or volume of patients is very strong in your territory, you can make quite a bit more money in home health care when you are paid per visit. Interested in Home Health Therapy? 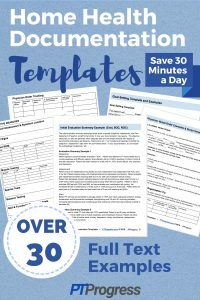 You absolutely need the Home Health Therapy Documentation Templates. *Example: In an average day, let’s assume you will see 6 patients. We’ll say you have 1 eval, 1 discharge, and 4 follow up visits. If you work 5 days a week, your earnings amount to: $2,250 pretax each week or $9,000 a month. Annually, this amounts to $112,500 assuming 50 weeks worked a year. Of course, it’s important to realize that your responsibilities as a Home Health PT involves documentation and contacting physicians after your visit with the patient. This means that you will be working between your visits as well as after you’re done treating patients that day. As a salaried home health PT, your compensation is not directly dependent on the number of patients you see in a day. Of course, as a salaried PT, you can expect your employer to set productivity standards for you to maintain. 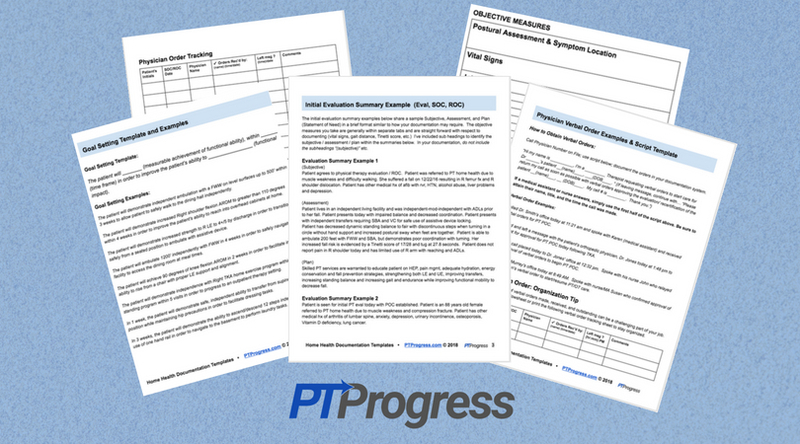 Before you sign up for a salaried position as a home health PT, make sure you fully understand these productivity standards and what happens if when the patient census is low or you do not meet productivity. Based on experience and communication with other PTs, a common expectation of 30-35 patients per 40 hour week is standard for salaried home health PTs. Some home health Physical Therapists are paid hourly. The good news with an hourly employee is that you are paid for the work you do. However, like the salaried PT, you are also held to productivity standards that may be difficult to meet depending on the patient census in the area. The hourly rate for a home health Physical Therapist who makes $112,500* is: $54.08 per hour. Sometimes the work rolls over to the weekday. When you start a new patient on a Sunday, you might not be able to reach the physician for the verbal order that day. 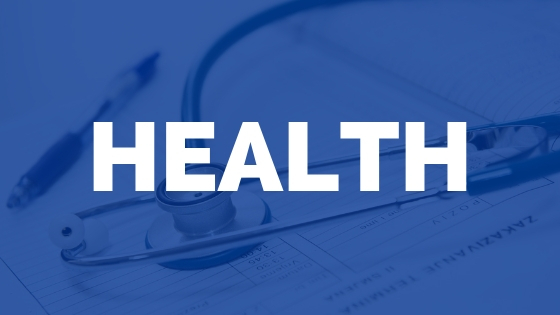 This means you will likely need to reach out to the physician office the next weekday. I found this to be difficult because my main work schedule was 8-6:30pm Monday – Thursday. Working 4, ten hour days allowed me a nice 3 day weekend to pick up home health shifts. However, the follow up during the week was nearly impossible. The money was great, but my time was gone. As the weekend PT, my per visit rate was above average, but I only saw 3 to 5 patients a weekend. On Friday I may have seen 3 patients, but only 1 or 2 on Saturday/Sunday. I found that most patients didn’t like to get started before 9AM, so treating even just 2 patients a day took an entire morning. I would try to budget 45-60 minutes for each visit, but with notes and follow up, a day of treating 3 patients might require 4 to 5 hours of my time. At an average of $80 per visit, I earned $240 or $48 an hour. Should I Do Home Health PT? Home health Physical Therapy is likely to continue to grow as the population continue to age. 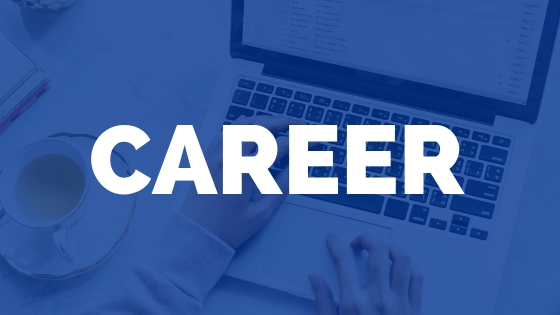 Whether you’re looking for a traditional home health setup or contracting with a long term care facility, you’re sure to find a lot of opportunities in this field. 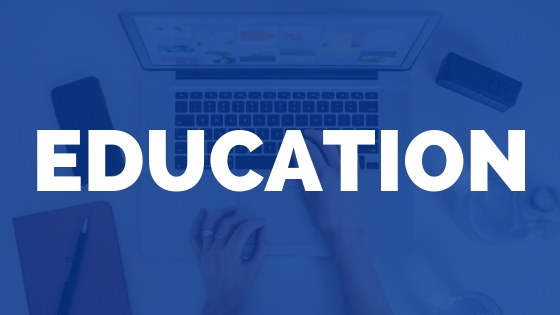 Be sure to ask plenty of questions on productivity standards, patient census, and territory management before you sign up to become a home health PT. Any suggestions for someone considering a home health PT job? If you’re a new home health therapist, this guide will save you time and headache as you can actually spend more time focusing on the patient’s needs and treatment. I would like to have documentation sample. I am PTA, english is my second language and this is a great opportunity for me to grow professionally.